Certificate in Genomics Education (2010), University of Minnesota, sponsored by Cold Spring Harbor-NSF. Certificate Advanced DNA Workshop (1992), Cold Spring Harbor Laboratory. 2018: Editorial Board of the International Journal of Biodiversity & Endangered Species. 2017: Climate change assessment damage of tilefishes in the Gulf of Mexico. 2013: Consultant, International Union for the Conservation of Nature (IUCN), conference for conservation evaluation of the status of Caribbean fishes, Trinidad. 2010: Invited participant, Cold Spring Harbor-NSF, University of Minnesota, St. Paul, MN, development workshop on iplant collaborative Genomic Education. 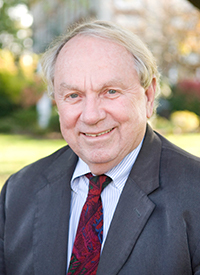 2009-present: Board Member, New York Marine Sciences Consortium, based at Stony Brook University. The New York Marine Sciences Consortium is an association of colleges, universities, and degree-granting institutions with expertise and interest in marine and/or coastal science. 2009: Invited participant; IUCN Red List workshop assessing the status of the world’s marine fishes. Jointly held by the Zoological Society of London and Global Marine Assessment. Held in London, U.K.; one of 22 invited world participants. We should all become aware and work on world environmental issues such as climatic change, pollution, loss of biodiversity and endangered/threatened species. Conservation, Environmental issues, Concepts & Methods of Biology, Evolution, Molecular Phylogenetics/bioinformatics, Ecology; Biogeography; Marine Ecology; Marine Biology; Fishery Biology. I try to convey that learning as a lifetime effort. Often, my teaching is a reflection of what I learn from my students, colleagues and friends. Evolution, ecology, systematics of fishes; fisheries/environmental science; endangered fish; tilefish morphological and molecular(DNA)phylogeny. 1. International consultant for the Food & Agricultural Organization of the United Nations (F.A.O.). 2. Consultant (fishes) for the International Union for the Conservation of Nature (I.U.C.N.) Red Book publication for threatened and endangered species. 4. Taught conservation courses in Spain (Canary Islands) with Earthwatch, a environmental education organization. 5. Collaborated in publications with authors from the Phillipines, Japan, Australia, Spain. James K. Dooley, Jonna Coombs & Eugenia Villa-Cuesta (2016). Experimental Techniques for Concepts and Methods in Biology: Laboratory Methods I. Ronkonkoma, NY: Linus Publications. Dooley, J.K., A. Freeman and Andrea Ward (2016). Experimental techniques for concepts & methods in biology II Laboratory Methods. Ronkomo, NY: Linus Publ..
J.K. Dooley (2017). Contributing author 6 vols. Tilefishes (Malacanthidae). In: Randall, J.E. & P. & E. Heemstra, W. Holleman (Eds.). Coastal Fishes of the Western Indian Ocean. 25% of world fishes, 7,000 sp. National Reasearch Foundation & South African Inst. Aquatic Sciences. Dooley, J.K. (2014-16). Contributing author, chapter- Malacanthidae. In: K.E. Carpenter & DeAngelis (Eds.). Living Resources of the Eastern Central Atlantic. 4 vols. (pp. vol. 4 (pt.II):2435-2438). Rome, Italy: FAO, United Nations. Dooley, J.K. 2017. Family Malacanthidae (invited author)in: Fishes of the Western Indian Ocean (P. Heemstra and J.E. Randall, eds.) vol. 4. 6 volumes total. Dooley, J.K. et al. 2016. IUCN Red List Assessment: The conservation status of marine bony shorefishes of the greater Caribbean. 61 p.
Dooley, J.K. and Y. Iwatsuki (2012), A new species of deepwater tilefish (Percoidea: Branchiostegidae) from the Philippines, with a brief discussion of the status of tilefish systematics. ZOOTAXA, 3249, 31-38. Dooley, J., Matsuura, K., Collette, B., Nelson, J., Fritzsche, R. & Carpenter, K. (2011), Branchiostegus japonicus. IUCN Red List of Threatened Species., Version 2011.2..
Dooley, J.K., K. Kelleperuma, and *L. Jimenez, (2009). Cladistic analyses of the tilefishes (Percoidea: Malacanthidae and Branchiostegidae) using the mitochondrial 16S and cyt.b genes. In Amer. Soc. Ichthyol. & Herpetol.. Portland, OR. Kelleperuma, K, L. Jimenez, J.K. Dooley (2009). Preliminary Cladistic Analysis of the tilefishes...based on the mitochondrial 16S and cytb genes. In Soc. Integr. Compar. Biol (SICB). Boston, MA. 2009- Invited participant in the IUCN international workshop assessing world's endangered and threatened marine fishes, sponsored by Zool. Soc. London, Regent's Park, London & the Global Marine Assessment organization. 2008: President Faculty Research Grant, Adelphi Univ. Molecular Phylogeny of the Tilefishes. Jian Wei 2015- 2017; M.S., Adelphi Univ.. Molecular phylogeny of the tilefish genus Branchiostegus (Family: Branchiostegidae) utilizing the mitochondrial genes 16S and cyt.b . Zihao Cui 2015-16; M.S., Adelphi Univ. Connectivity in the tilefish Branchiostegus japonicus (Pisces: Branchiostegidae) from Japan and Taiwan, using the mitochondrial gene ND2. Chang Liu 2016- present; M.S. Adelphi University. The phylogeny analysis of tilefish (perciformes: Malacanthidae) based on morphology(osteology and myology) and mitochondrial gene sequence(COX1 and Cyto.b). Kethika Kulleperuma 2007-2009: M.S., Adelphi Univ. 63 pp. Molecular Phylogeny of the Tilefishes; presently (2009) a Ph.D. candidate, in bioinformatics at the University of Toronto, Canada. Lizandra Jimenez (2005-07): M.S., Adelphi Univ. Preliminary Molecular Phylogeny of the Tilefishes (Perciformes: Malacanthidae) based on their mitochondrial cytochrome b and 16 S rRNA gene sequences. MS thesis, Adelphi Univ. 73 pp. received her Ph.D. degree in cytogenetics in 2015 from Albert Einstein School of Medicine, NY. Presently a post-doctoral student at Vanderbilt Univ., TN. 1. The protection and management of the Sargasso Sea; a proponent, petitioner of protection for the Sargasso Sea. (Dooley, 1972; Dooley, 1993). Now a protected habitat. 2. 2016; A contributor of The establishment of the Northeast Canyon and seamount Federal Monument. 1of 145 petitioners to President Obama. Now a Federal protected monument, the only one in the Atlantic Ocean. 3. 2014; March for Climate Change Action. Manhattan, NY; 150,000 participants. 4. 2009-present: Consultant for The IUCN Red List of Threatened Species™ - widely recognized as the most comprehensive, objective global approach for evaluating the conservation status of plant and animal species. From its small beginning, the IUCN Red List has grown in size and complexity and now plays an increasingly prominent role in guiding conservation activities of governments, NGOs and scientific institutions. 5. 1978-present: Consultant for the Food & Agricultural Organization (F.A.O.) of the United Nations. 2016. Efforts headed by Gorka Sancho, College of Charleston and strongly supported by 145 world scientists, including Professor Dooley, resulted in the establishment of the first Marine National Monument in the Atlantic Ocean, off our NE coast designated by by President Obama on 15 October This area of permanent protection includes some 5,000 square miles of unique ocean bottom including three canyons and four underwater mountains (seamounts). Underwater canyons larger than Grand Canyon (as deep but twice as wide) are included. These areas provides critical habitat for many species of: fishes, turtles, sperm, fin and sei whales, and endangered deep sea corals. 2014. Golden Ibis Alumnus Award, University of Miami, (Miami FL). 2018 (August). Selection as Chairman of the Conservation Program, for the Long Island Group of the Sierra Club. 2017. Participant with 12 AU students in the Washington, D.C March on climate change. 2016. Member of the Oyster Bay, NY Chamber of Commerce. 2018: Attended a workshop and received certification for R for Research Scientist @ Montgomery College, Germantown, Md. 11-12 June; Bio-Trac Program, NIH sponsored. 2018: Invited to join the Editorial Board of the open access journal International Journal of Biodiversity & Endangered Species. 2017. Member of Editorial Board, Vagus Improsys, an open access journal; Advanced Research in Evolution and Bioinformatics [ https://www.vagusinprosysonline.org]. 2017-present. Oyster Bay, NY. Chamber of Commerce Member. 4. 2009-present: Consultant for The IUCN Red List of Threatened Species™ - widely recognized as the most comprehensive, objective global approach for evaluating the conservation status of plant and animal species. IUCN Red List has grown in size and complexity and now plays an increasingly prominent role in guiding conservation activities of governments, NGOs and scientific institutions. 2016 Member of the Adelphi Univ. Animal Care Committee. 2016 Member of the Undergraduate Academic Affairs Committee. 1999 .Co-author with L.Hobbie. Dept. Biology Strategic Planning Proposl submitted to the University President.